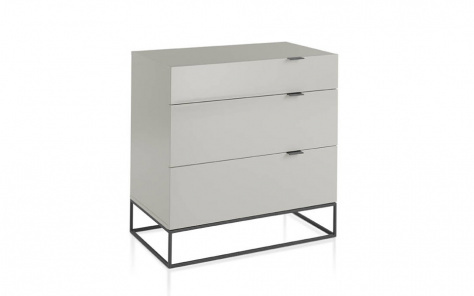 Looking to buy a contemporary chest of drawers online? 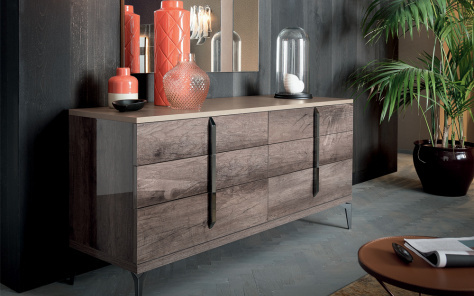 Sleek, sophisticated and framed in the most durable kind of material, we have an extensive range that not only serve your purpose but ensure that the style you choose accentuates the look of your surroundings. 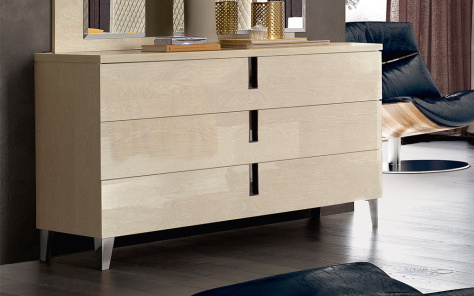 If you wish to opt for the modern style of a chest of drawers with legs, you may visit our catalogue for the latest designs and fashions. No one wants those huge and bulky drawers that took ages to pull out and fitted in back again. 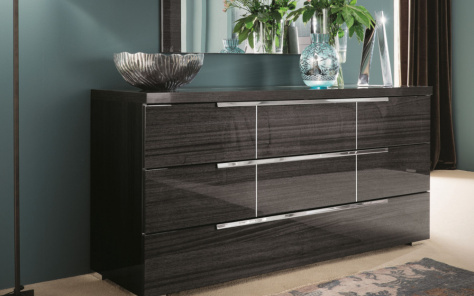 Be it newly constructed houses or refurbished mansions boasting of a colonial mindset, sleek and glossy designer drawers are now in vogue. 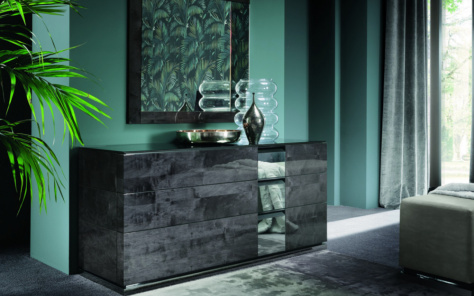 The materials we use in the construction of our contemporary chest of drawers coupled with the design and make symbolises our individuality and distinctive taste. 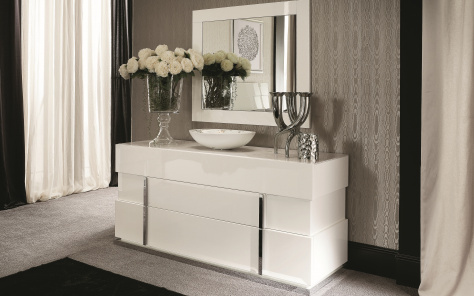 Whether you are looking for a designer chest of drawers fashioned horizontally or vertically, our range of designs will satisfy and appease you to the hilt. 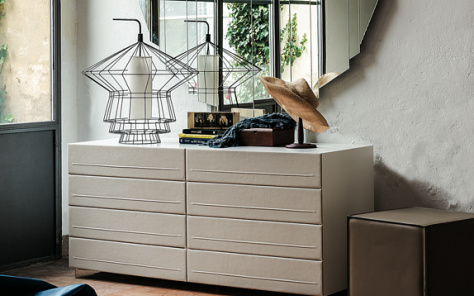 The drawers are created in a way that you may consider storing linen, clothes or other daily houseware materials. 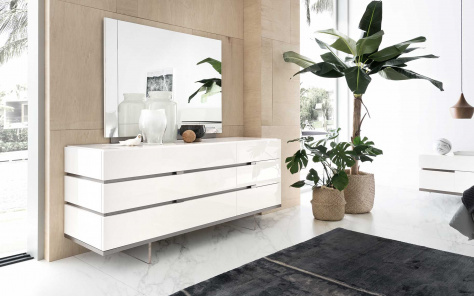 We realise that most of our customers look for drawers and chests that not only merge with the style and ambience of their space but ensure convenience and utility at affordable costs. 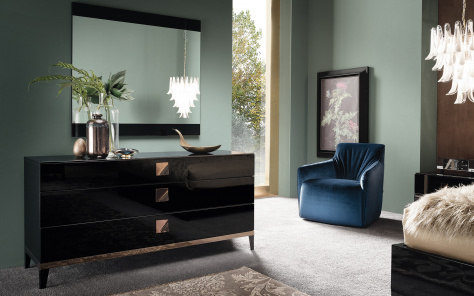 While some of our furniture pieces have set the trend for Italian furniture designs and highlight our artists’ creative sense, there are others that are simply a reinterpretation of the older styles. 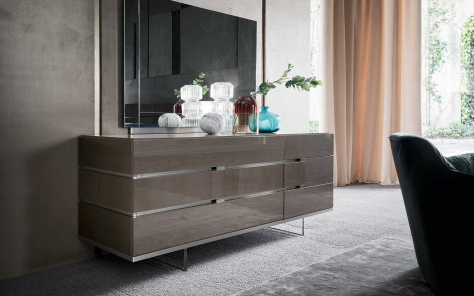 While the drawers must be solid enough to hold any material within, the chests must be light so that they may be moved around in the room, if and when required. 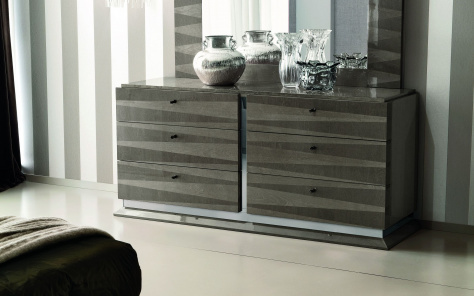 You may visit our site or go to our nearest showroom for a detailed look. 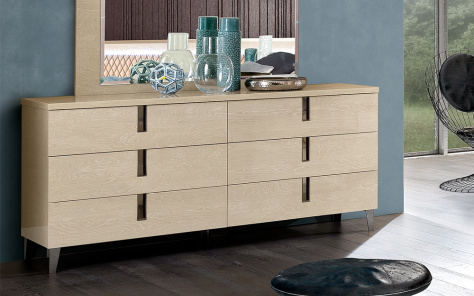 The primary use of a chest of drawers is storage but that does not prevent you from picking pieces that will add to the overall sophistication of your room. 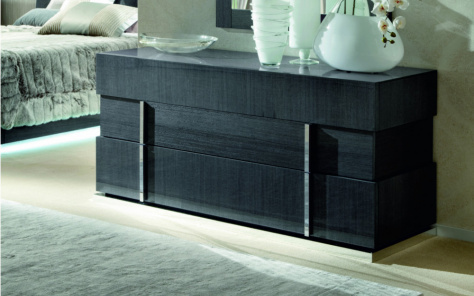 We have a wonderful selection of hand crafted chests that will enhance your room. 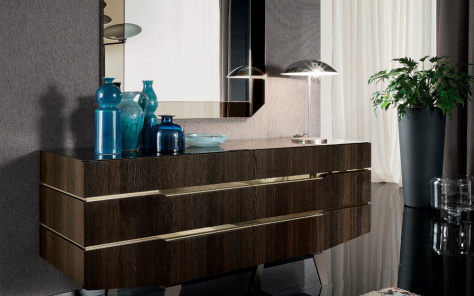 Created by the finest designers and brought to life by the most skilled craftsmen, these fine pieces will enable you to illuminate whichever room you place them in and add that stamp of individuality you seek.